Please advise any errors or omissions to entries@westsuffolkswimming.co.uk by 15th April latest. 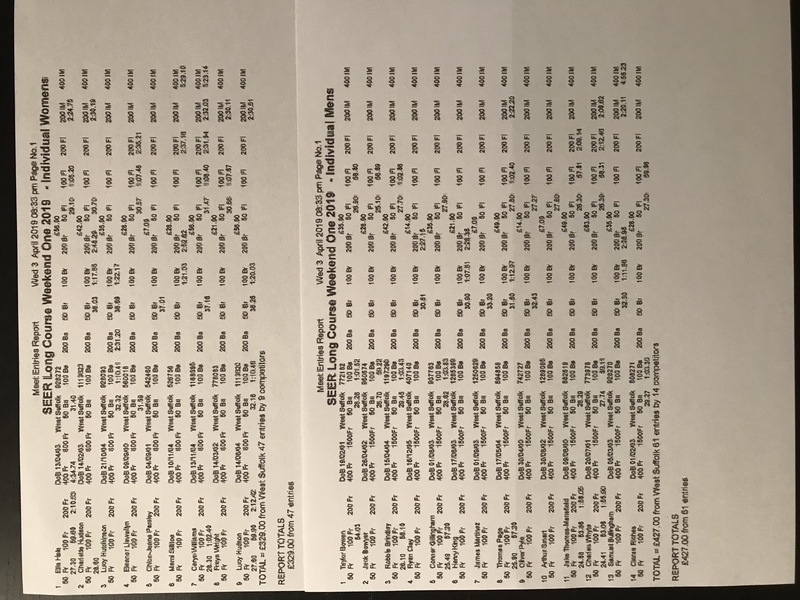 Please note the entry report detailing events will be published after processing when this past weekend's results have updated to Rankings. Swimmers who have not advised events wanted will be entered for all qualified.